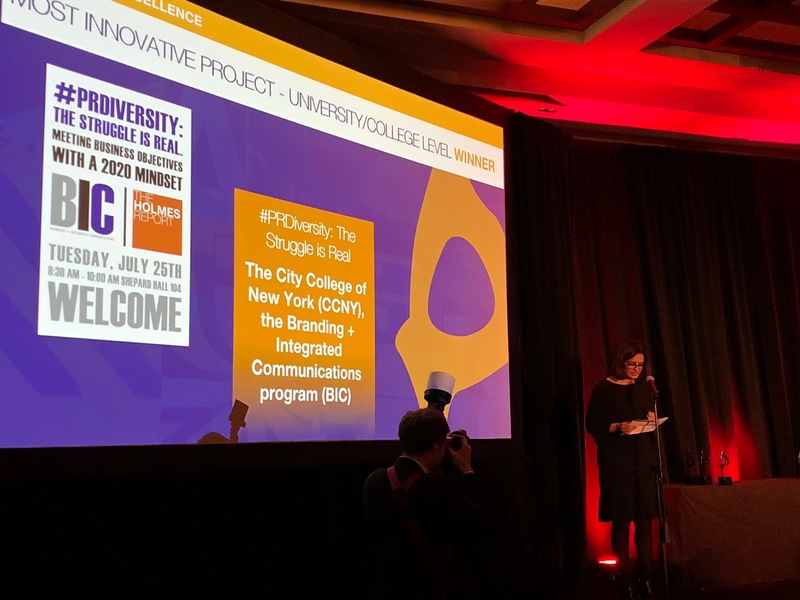 Following a cocktail party reception at the Intercontinental Hotel in New York City, BIC Professor Angela Chitkara was awarded the 2018 SABRE for Most Innovative Project at the University Level for her research on diversity in the public relations industry. 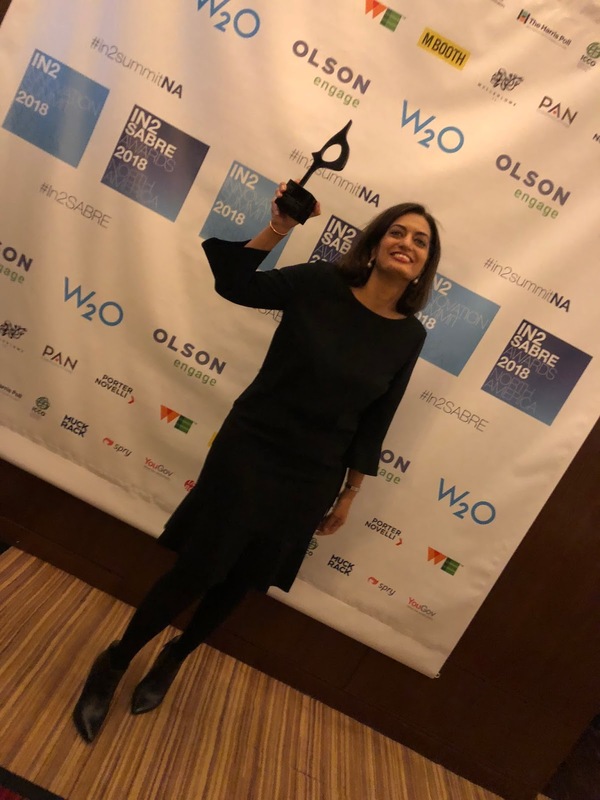 She took to the stage to thank the industry's support and efforts to put D&I in the forefront of talent development, retention, and innovation. 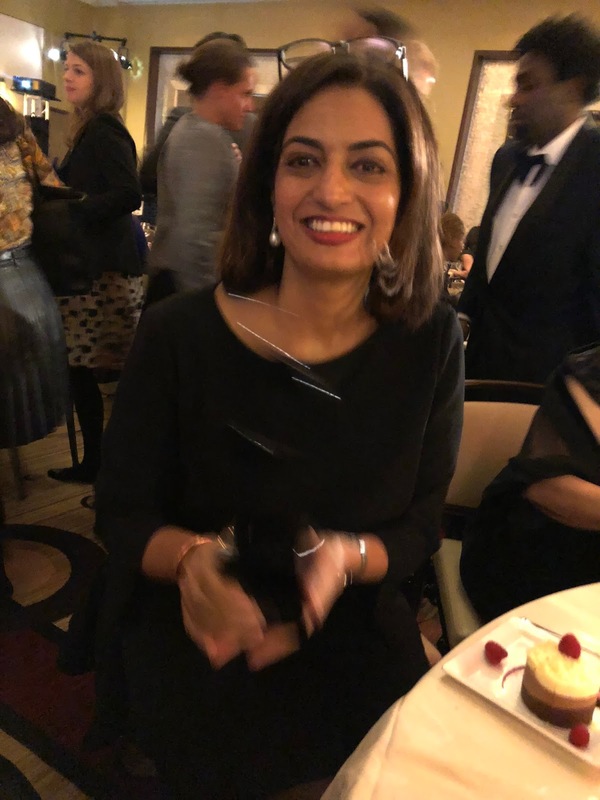 In collaboration with The Holmes Report, Angela Chitkara first previewed her diversity and inclusion research in a Town Hall meeting at The City College of New York in May and then presented more advanced findings in July before CEOs, Diversity and Inclusion Officers, students, and faculty. The research, #PRDiversity: The Struggle is Real: Meeting Business Objectives with a 2020 Mindset, focuses on the role of the CEO in Diversity and Inclusion primarily. Her May event gave industry CEOs the floor to answer some of the questions raised in the research. CEOs Peter Harris of Grayling, Heidi Hovland of DeVries Global, Brad MacAfee of Porter Novelli, and Rob Flaherty of Ketchum engaged the audience in panel discussion. About The Holmes Report: The Holmes Report is the authoritative voice of the global public relations industry, dedicated to proving and improving the value of public relations by providing insight, knowledge and recognition to public relations professionals. Don't Miss This Year's BIC PiP! !